The MBT Men’s Colorado 17 Petrol Blue is a casual fitness walking shoe designed to increase your active lifestyle and aid in recovery. This model’s rocker outsole and SensorTechnology will help you move efficiently in comfort. Give this MBT Men’s Colorado 17 Petrol Blue a try if comfort and fitness are your key priorities. Designed on a neutral platform. Patented Sensor Technology is a soft PU compound located between the midsole and outsole that creates the specific functionality of the MBT sole. The midsole also offers Pivot Axis. 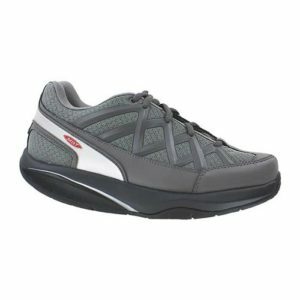 Pivot axis creates a stable mid-foot surface as the shoes dynamic rocker propels you toward a mid-foot strike.